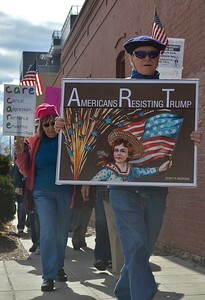 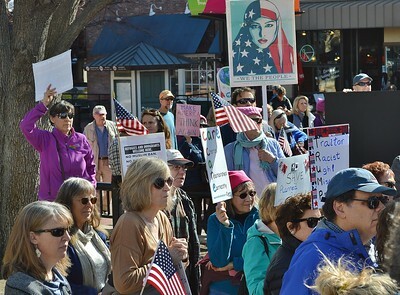 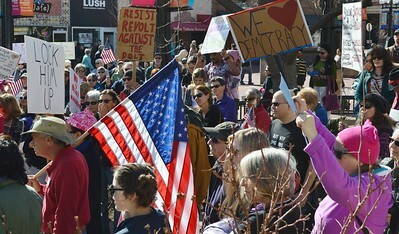 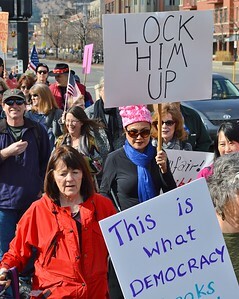 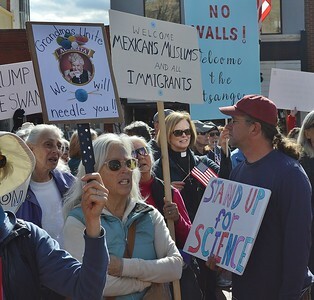 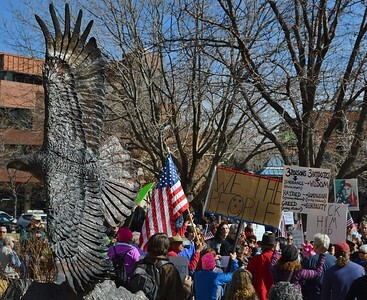 About 300 people rallied then marched through downtown Boulder, Co to protest the policies of President Donald Trump. 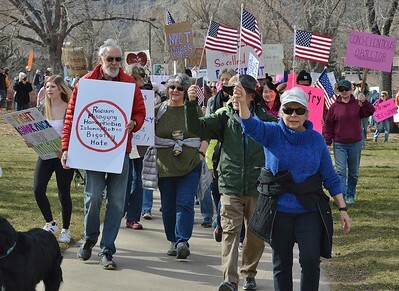 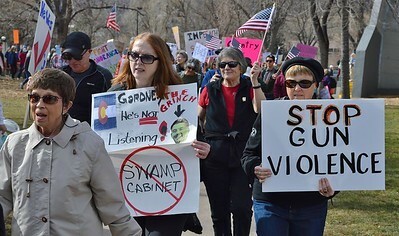 Opponents of President Donald Trump marching in Boulder, Co. 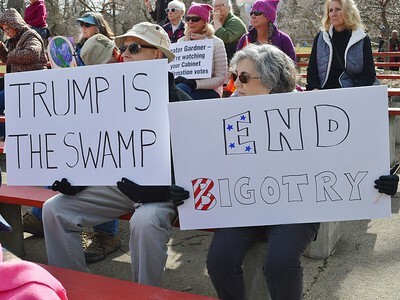 Opponents of President Trump with signs and American flags at rally in Boulder, Co. 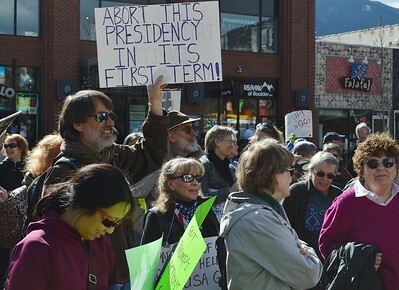 Protesters with signs listen to speaker at anti-Trump rally in Boulder,Co. 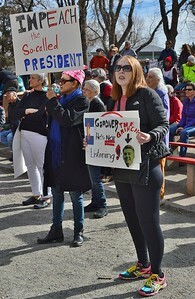 Protester at anti-Trump rally holds sign about Colorado Senator Cory Gardner. 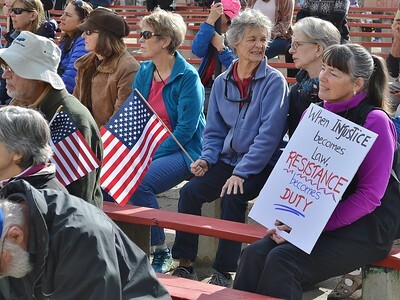 Opponents of President Trump listen to speaker at rally in Boulder,Co. 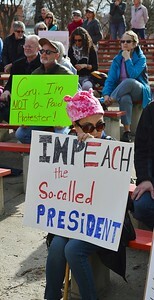 Opponents of President Trump with signs and an American flag at rally in Boulder, Co.
Protester with sign about impeachment listens to speaker at anti-Trump rally in Boulder,Co. 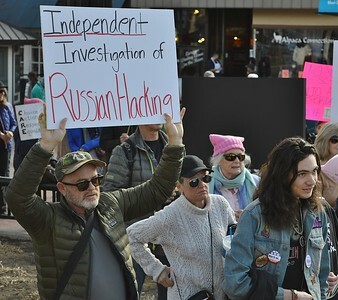 Protester calling for investigation of "Russian hacking" at anti Trump rally in Boulder,Co. 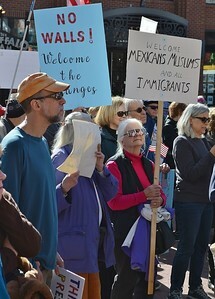 Women at anti Trump protest displays sign about immigration. 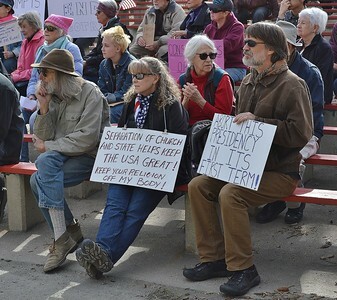 Protesters at rally against President Trump listen to speaker. 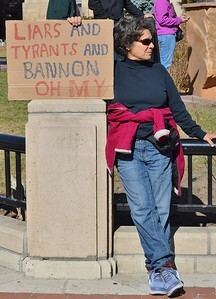 Pro Donald Trump protester at rally against the President's policies in Boulder, Co.